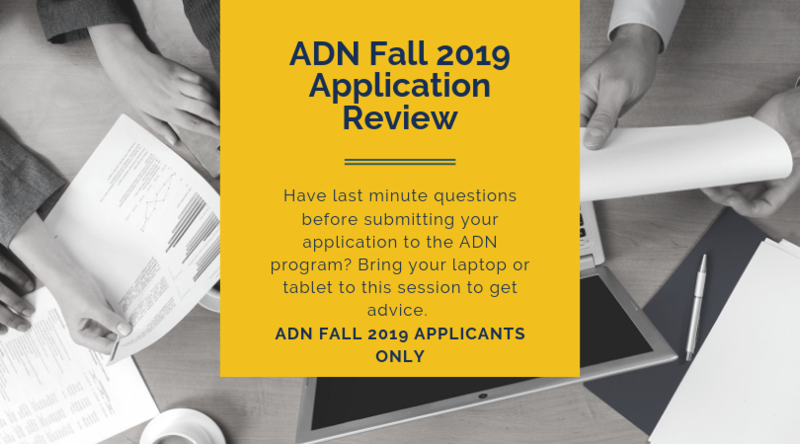 Applying to the fall 2019 ADN cohort and have last-minute questions before hitting submit on NursingCAS? Come to T318 on Friday, April 12, 2019 from 2:30 – 4:20 p.m. to ask your questions in a group setting. This session is for fall 2019 ADN applicants only; it is not a general information session (see above for those dates or download the PDF).